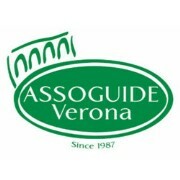 ASSOGUIDE V ERONA is a group of highly qualified tourist guides who love their job and costantly update their knowledge in order to offer the highest quality and efficiency. We offer guided tours in the historical city centre of Verona and in its Province. In the city we are available for historical and thematic tours, visits to churches, museums and exibitions, visit of Veronetta area, Verona by night, bike tours, tours for incentives and team building. In our Province we offer tours of the Lake Garda, Valpolicella, Soave, food and wine tours , garden tours. Our services are available in Italian, English, French, Spanish, Portuguese, German, Russian , Dutch, Finnish, Japanese, Rumanian and Turkish.